Amy M. Plank - Harris, Karstaedt, Jamison & Powers, P.C. After graduating from Creighton University School of Law, Ms. Plank moved to St. Louis, Missouri to be a law clerk for Federal Magistrate Judge Frederick Buckles. After the two year appointment she moved to Omaha, Nebraska and worked at Mutual of Omaha for one year before moving on to the United States Army Corps of Engineers as Assistant District Counsel. Her area of practice included environmental law: RCRA and CRCLA for the Defense Environmental Restoration Program for Formerly Used Defense Sites which included working as a team with engineers, industrial hygienists, geologists, and attorneys. She gained experience in federal construction contract law, both negotiated and lowest bid, subsequent claims and bid bonds. In addition, she was the assistant attorney for EEOC and federal employment hearings, and appeals for the United States Army Corps of Engineers, Omaha District. After having two children she decided to be a stay at home mom. During this time she was a translator and interpreter in the Spanish language for client interviews and non-evidentiary court hearings as well as taking on numerous volunteer activities. 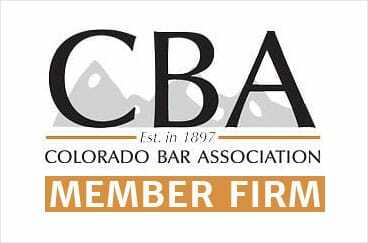 She sat for the Colorado Bar in 2004 and began practicing law again in 2008, initially in general practice, then moving exclusively to insurance defense, including construction defect, bodily injury, property damage, premises liability and product liability.